What Shakespeare can teach us about leadership, how to win the hearts and minds of millennials, and other top leadership stories from the past seven days. 1. 7 leadership lessons from Shakespeare . Leadership advice from some of Shakespeare's most famous – and infamous – characters. 2. These 3 steps could help boost innovation in your organization . Established organisations need to innovate too - this advice could help. 3. "Staying in the status quo is a sure way to be extinct". Why leaders need to seize opportunities . Carol Sawdye, vice chairman and chief financial officer of PwC, on leading with urgency. 4. 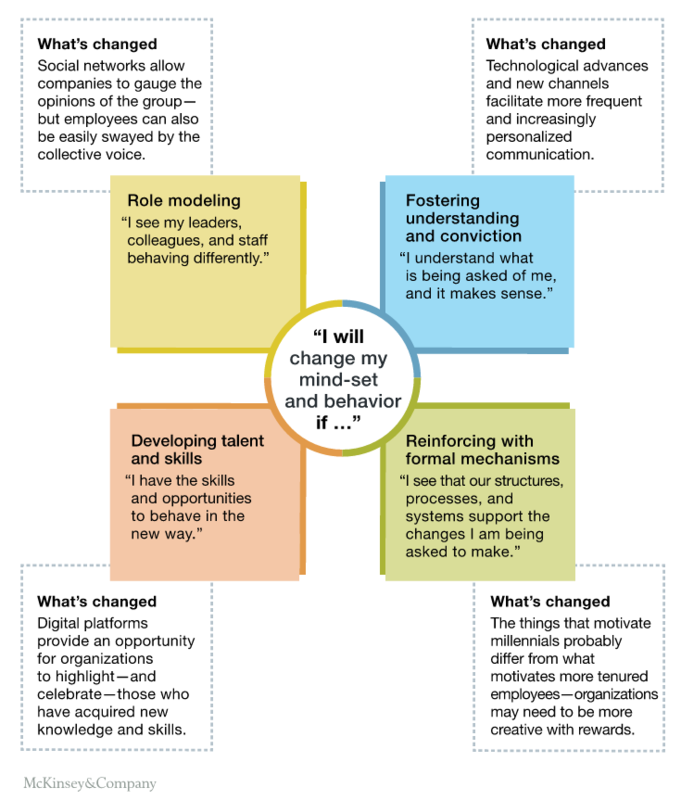 The most important digital skill for tomorrow's CEOs . Sixty-one percent of CEOs have no social media presence at all. Even those who are on Twitter, Facebook or other networks rarely join the conversation. 5. Want to be a better leader? Start experimenting . Leadership development should involve facing real business challenges. 6. How can businesses win the hearts and minds of millennials? In a changing environment, businesses must take advantage of evolving technologies. 7. Why focusing on teams, not just leaders, is the key to business performance . Companies need to undertake an organizational restructuring to focus more on teams and less on leaders. 8. Too busy to get everything done? Nonsense, says science . Being busier could be the key to improving your productivity, a new study has found.